athletes and only the best matches possible. Missouri State and World Middleweight Titles. returned often to referee matches into the 1920s. style, $150 for first and $100 for second. On the afternoon of Sunday, December 14, 1884 in St. Louis, William Muldoon beat J.H. and-elbow) and the third (back hold). St. Louis wrestler Albert Balz committed suicide on November 10, 1912 at 28 years of age. girl whom he mentions as 'J'." in the sixth round when Price gained a pinfall. one. The new laws went into effect in August. promoted by Tom Packs, who estimated the gate at $35,000. Missouri Governor Henry S.
The famed Kiel Auditorium, with a cost of $6 million, opened in 1934 with a capacity of 9,300. Thursday, January 31, 1935. The Missouri Athletic Commission denied his request. Press reported that Steele was the "first world mixed bout heavyweight champion." Read the extensive Tom Packs Biography. Shikat refused to meet Ed "Strangler" Lewis on April 3. On February 8, 1947, KSD-TV became the first television station in St. Louis. organization "operates as a promoter, the same as does the Mississippi Valley Sports Club,"
close out his booking office, and work for Thesz for $15,000 annually, as a publicity man. Thesz refused and promised to run Muchnick out of business within a year. as a booker" for matches throughout the territory. Moon," Torrence the Viennese Sky King, La Tosca, and others. Longtime St. Louis referee Babe Martin was a catcher for the Boston Red Sox and the St.
sold insurance outside of the grappling business. tornado hit St. Louis and damaged the Arena. 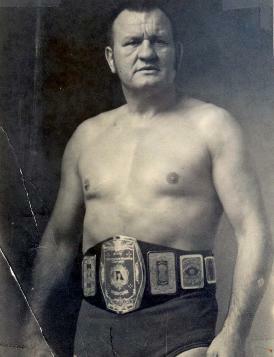 Longtime amateur wrestler Mileo Occhi was also a talented pro - and later a referee in St.
Heart of America Sports Attractions, Inc.
St. Louis Wrestling Club, Inc.
NWA All Star Wrestling, Inc.
the prized Missouri State belt.